The Lady Hounds have been preparing for the start of basketball season with a weekly theme or challenge. 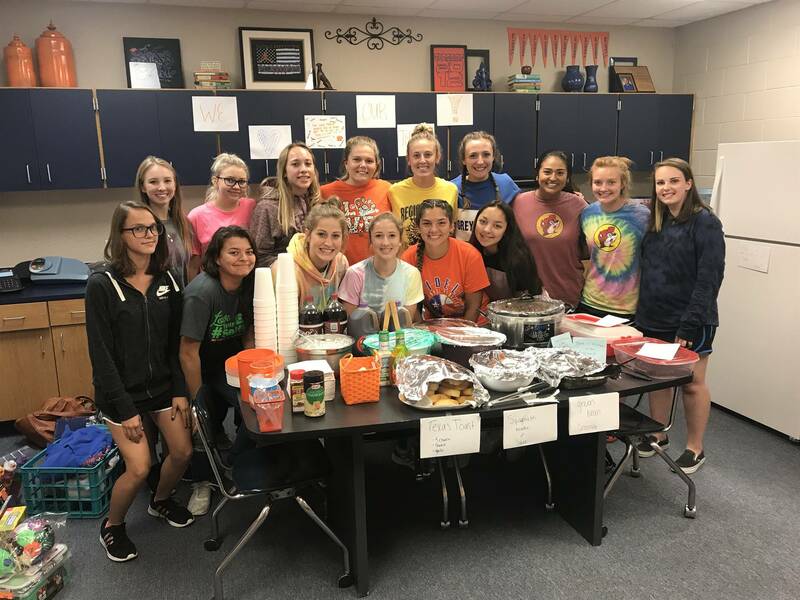 They have had a week of prayer, collected donations for Denton County Friends of the Family, earned the right to challenge Coach Shelton to a 150 mile bike ride and cut out sweet drinks. 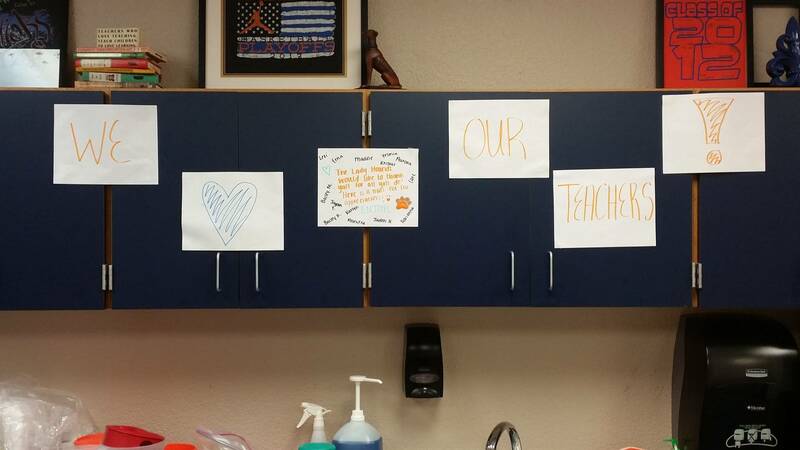 This week the focus was on random acts of kindness and the teachers were the recipients of an Italian lunch buffet. We are proud of our Ladies for making the time to expand their focus!